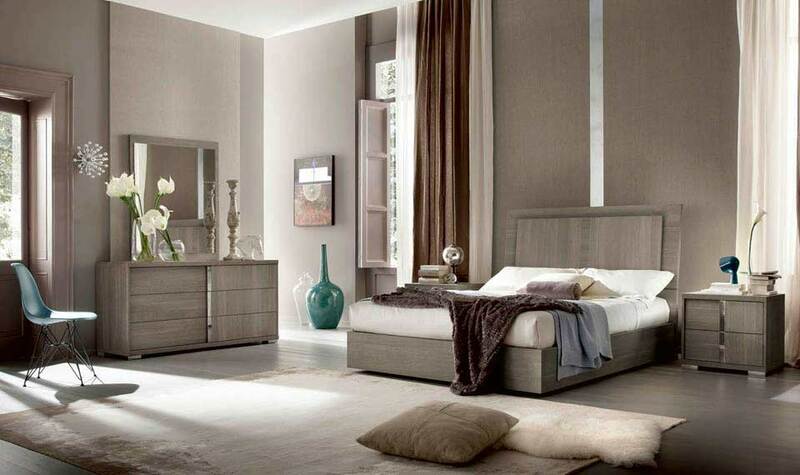 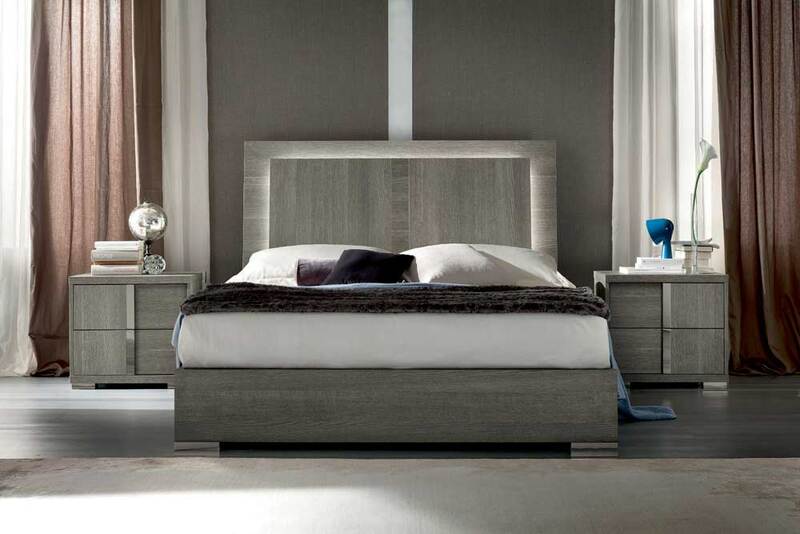 The Tivoli Bedroom Collection is an elegant, contemporary design set in a grey matte European finish. 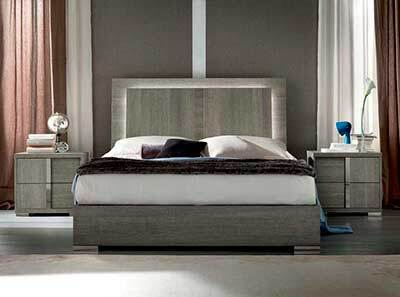 Tivoli's platform bed is available in queen, king sizes. 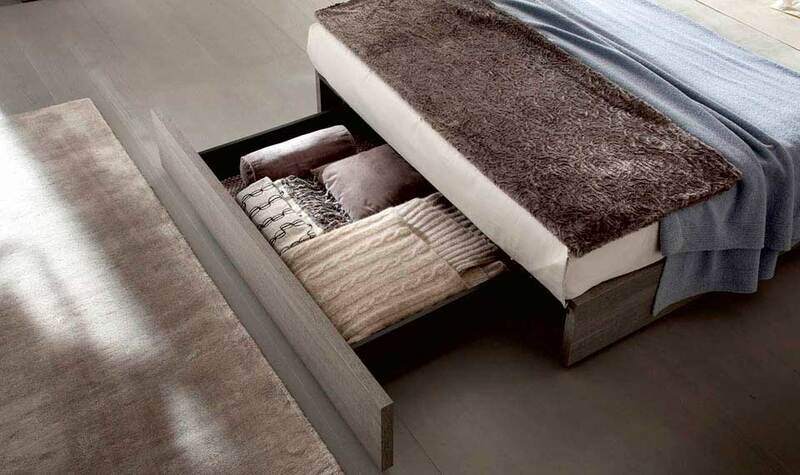 Sturdy wooden slats eliminate the need for a box spring. 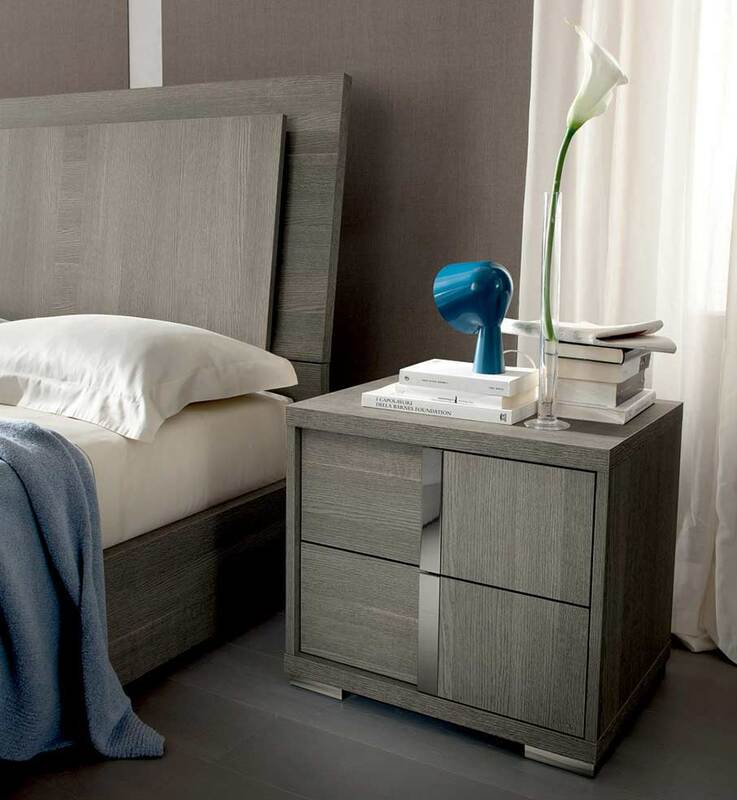 LED lights bring a cozy and intimate light, and the underbed storage that is essential for small spaces. 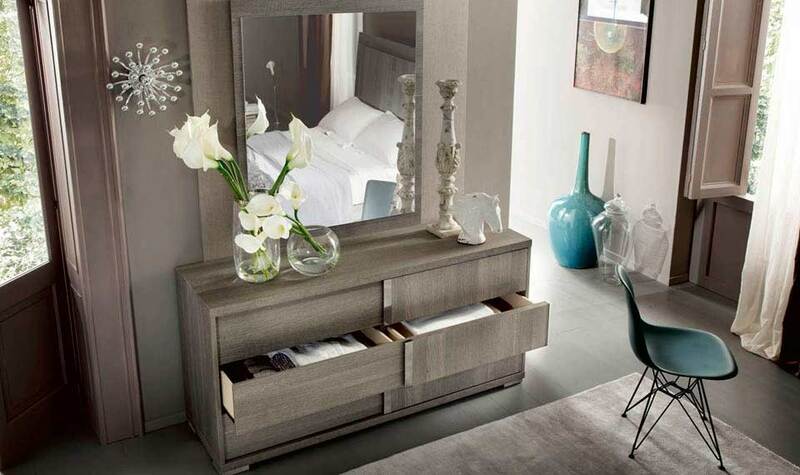 Queen bed W 65" D 87" H 49"
Night stand W 24" D 18" H 22"
Dresser W 63" D 20" H 30"
Mirror W 37" D 1" H 43"
Chest W 34" D 20" H 57"
Upholstered in Eco-Leather, Low Profile Design.